of both Starsky's firm and the archipelago air transport in general." 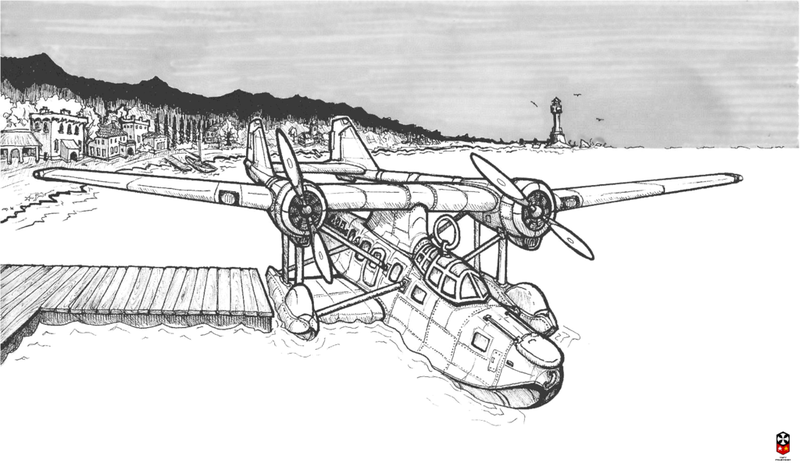 "The Aerial Jaunts of the Old World"
Tales of the Airpost:"Docked Seaplane." "Carandian Navy Sea TigerCat Mk 1"
by tossing away the cargo of beer cases, while the other one tries to save at least one." 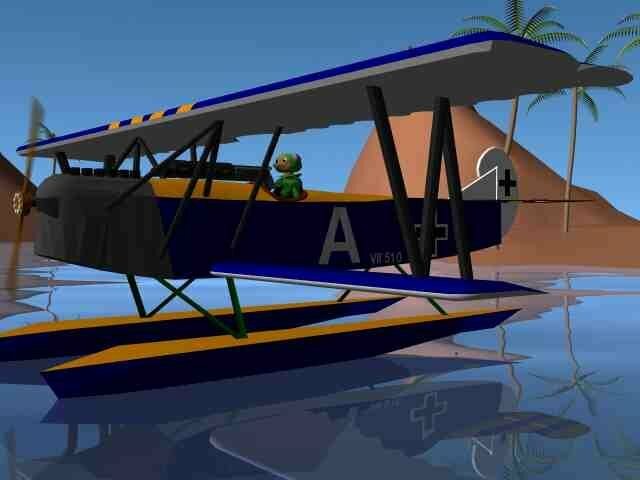 A purpose-designed sea-corsair floatplane, marketed for solo airpirates preying on yachts. passenger dirigibles filled with valuable loads and rich passengers had attracted the air pirates. the most well-armed and organized airpirate gangs. Lone entrepreneur airpirates turned to look at the cradle of piracy, the sea. and perhaps even those new aircraft were not well-designed for this specialized job: Piracy. So small new aircraft companies began to appear, similar to the Chaparral Aircraft Company. The "Morskoy 'Ezh'" (the Sea-'X') from the Chaparral Company!" of the pilot's cockpit), and additional luggage area in the main float. side-by-side, with reducing gears that revolve one large-diameter pusher propeller. for high quality repairs are to the aircraft's structural framework, and to the wings and control surfaces. Elegant repairs and details for the cabin can wait...this is the the stage you see in this 'Sea Bear'." Sirrus Fighter Model 040 - Designation "Warshrike"
Powerplant: Proposed 1400 Horsepower Imperial Typhoon type Radial. Currently fitted with a 3100 Horsepower V-16 Kestral Type liquid cooled engine. Weapons: Four wing mounted .70 Caliber "Leviathan" type machine cannon, 500 rounds per gun. most are employed with the Imperial Ashcaran Aerial Militia. Powerplant: Ironclaw Industries V-1896 "Swordfish" type Inverted V-12. one 20mm "Graves" Cannon firing through the prop hub. "Aleutian Dex and D'Nyel Lakara out on patrol, when Aleutian decides to play a game of tag. airspeed making the planes shake. The two pilots look at each other, then push the noses down more. Two gleeful children, pedaling the fastest before they have to turn their bikes around." "The "Grom" as it was called, meaning "thunder", was undeniably an awesome aircraft indeed. 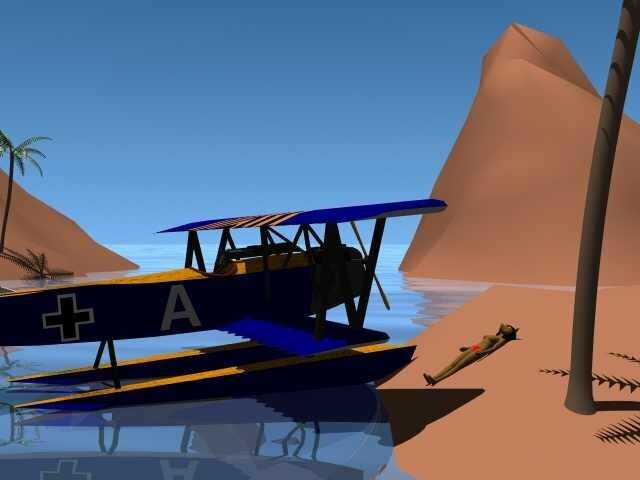 strike aircraft in the Bering Sea Campaign. The Grom soon became a tactical favorite. 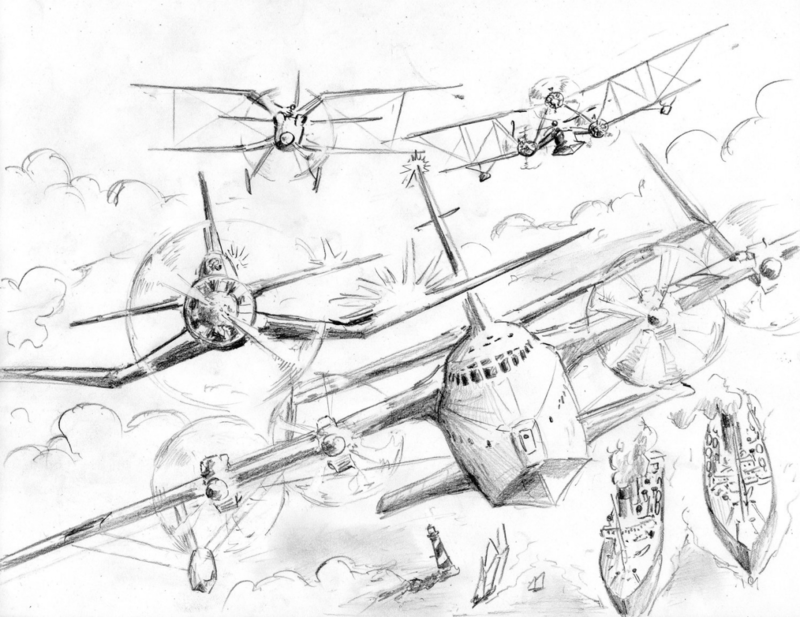 this seaplane was a tough and versatile opponent against the Imperial Japanese Navy." Ensworth Ensign - as depicted by Arthur Filloy. 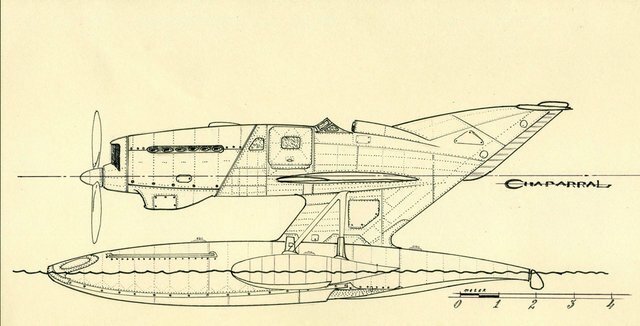 A British military aircraft of the 1940s: "Maritime patrol & anti-shipping"
(From the blog: Drawn Patrol: Recommended for its cartooned aircraft. "The ever popular "Travelux", camping, aeroclubing, or just flying about. and was also of no great consequence in history." 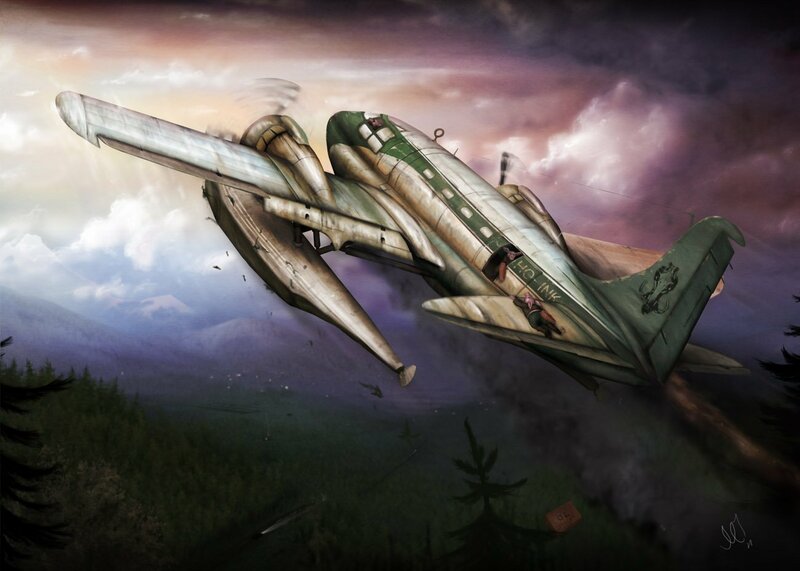 "Many of the details surrounding this rare aircraft have beeen lost through the passage of time. Not much is known about the Hopesworth, except of course for the version depicted here. "The Velospeed, was a 1930's racing aircraft. however, it failed to enter the finals, with a staggeringly low speed of 67.3 mph."